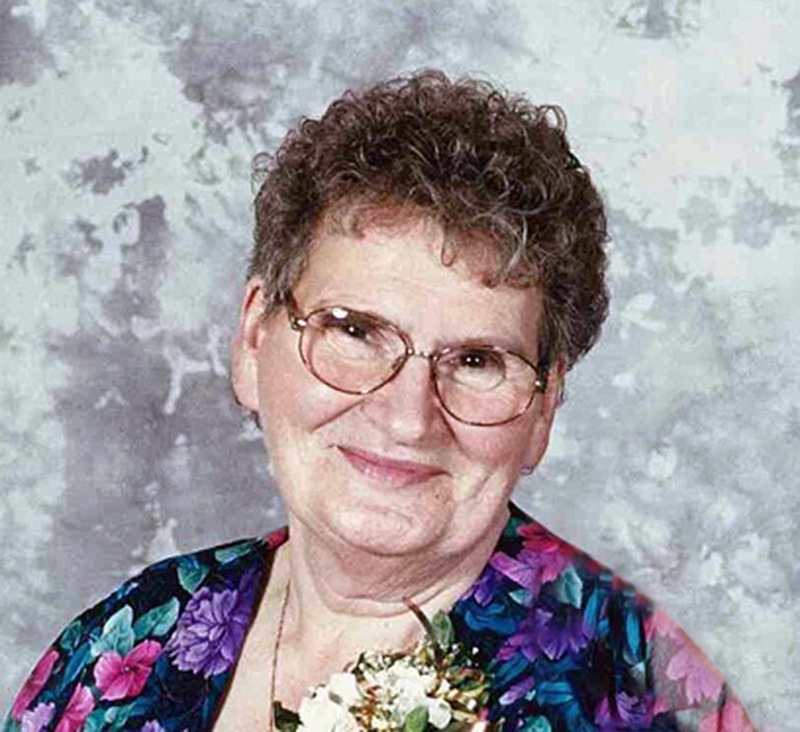 On August 27, 2017, Doris May Flasha of Whitecourt, AB, passed away at the age of 87 years. Doris will be lovingly remembered by her children, David Flasha, Nancy Evenson, Barb LaPlante and Steven Flasha; grandchildren, Susan (Ryan), Eric, Danny, Lori, Dominic and Anthony; step-grandchildren, Tom (Tammy) and family and Martin (Roxane) and family; brother, John (Mabel) Baxter; and many more dear relatives and friends. Predeceased by her husband of 66 years, Paul. Thank you to Dr. Roos, Dr. Bablitz and staff of the Whitecourt Healthcare Centre for their kind and compassionate care shown to Doris and the family. A Gathering of family and friends will take place Thursday, August 31 at 11:00 a.m. at Whitecourt United Church, 5201 – 50 Street, Whitecourt with Pastor Dallas Bidell officiating. The family asks that anyone in attendance at the Gathering who possesses one of Doris' scarves, wears that scarf for the service in Doris' memory. In lieu of other tributes, donations may be made to the Friends of Whitecourt Society, Box 1101, Whitecourt, AB T7S 1P1.